Well, this is a bit surprising. Fiat Chrysler and Google announced a collaboration earlier this week to create a new Android-based automotive infotainment system — now Panasonic Automotive and Qualcomm are joining forces to create another one. They are touting this concept as "next-generation," whatever that means anymore. Based on Android 7.0 Nougat, this concept will utilize the operating system's ability to scale to multiple screen sizes, applications, and resolutions. This will offer manufacturers much more flexibility in creating in-dash units that fit with their overall design and aesthetic. It is also of note that Google is cited in the PR as being involved to some degree in this collaboration. Concepts do not always come to full fruition, but I can't help but wonder what Panasonic's and FCA's new systems mean for Android Auto. I suppose that it is anyone's guess at this point. CES attendees can check out the tech demo throughout the convention. 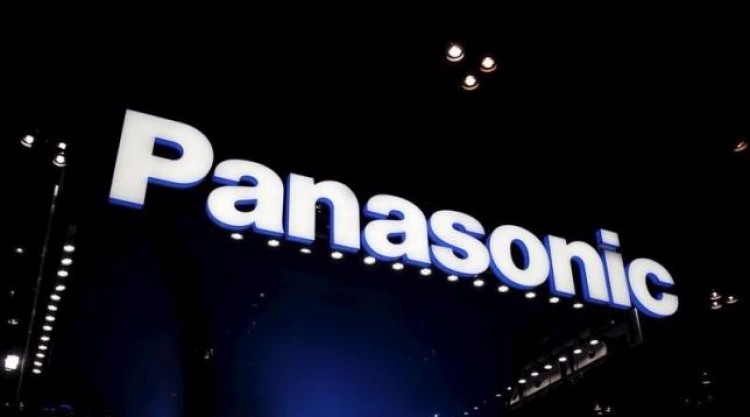 LAS VEGAS, Jan. 4, 2017 /PRNewswire/ -- Panasonic Automotive Systems Company of America, a Division of Panasonic Corporation of North America, and Qualcomm Technologies, Inc., a subsidiary of Qualcomm Incorporated, announced today that they are working together to develop a next-generation Android-based in-vehicle infotainment (IVI) system. As part of the demonstration, Panasonic Automotive and Qualcomm Technologies have integrated state-of-the-art Android 7.0 features to give drivers a unified experience across an automaker's entire vehicle lineup, adjusting for different applications, screen sizes and resolutions. This adaptive user interface design concept is a cost-saving feature that will allow OEMs to optimize their system engineering investments and customize the infotainment system across vehicle lineups. Using a Qualcomm® Snapdragon™ 820Am processor, this concept system is based on the latest version of the Android operating system (7.0 Nougat), which is designed to provide automakers with a superior, high-performing platform to quickly develop cloud-connected infotainment systems, helping accelerate the rate of innovation in both the in-vehicle infotainment experience as well as the connected car. The concept system will demonstrate how new connected services and applications will deliver a safety-focused and intuitive driving experience to consumers. The next-generation infotainment demonstration takes advantage of the high-performing connectivity, multimedia and graphics capabilities integrated into the Snapdragon 820Am automotive processor, including integrated X12 LTE modem supporting up to 600 Mbps downlink and 150 Mbps uplink speeds, integrated location services, power-efficient, custom-built quad-core Qualcomm Kryo™ CPU, Qualcomm® Hexagon™ 680 DSP, Qualcomm® Adreno™ 530 GPU for video processing capabilities and support for multiple high-definition displays. "From the beginning, our goal was to create an in-vehicle infotainment system that shortened production time, minimized development cost for major OEMs globally, and allowed for more efficient evolutions as time and technology changes in mobility," said Tom Gebhardt, President, Panasonic Automotive Systems Company of America. "By working with Qualcomm Technologies and Google, we were able to accomplish that goal, resulting in an infotainment system concept that is innovative and future proof. This concept should be considered 'skip generation' technology, meaning that we expect it include features beyond that of the next two IVI generations ahead." During CES 2017, Panasonic Automotive and Qualcomm Technologies are planning to showcase this latest IVI system built upon Android's automotive features that control in-vehicle functions such as HVAC, and demonstrate the integration of Google's services and popular Android applications with the system. "This has been an exciting collaboration of industry leaders where our combined technologies, innovations and engineering efforts have enabled us to demonstrate superior, highly intuitive, in-car infotainment systems," said Patrick Little, Senior Vice President and General Manager, Automotive, Qualcomm Technologies, Inc. "We look forward to continuing to work with Panasonic Automotive and Google to continually advance our Snapdragon automotive solutions to bring to life the advanced features and services of the Android experience." "Android has evolved into a turn-key automotive platform that enables automakers and suppliers to build powerful next-generation IVI systems," said Patrick Brady, Director of Android Engineering, Google. "We are excited to see industry leaders like Panasonic Automotive and Qualcomm Technologies integrate Android deeply with the car to provide drivers with a seamless connected experience." This next-generation IVI system concept features the Panasonic Automotive passenger application, which is designed to address the challenges that passengers have when entering navigation destinations or controlling music. Car manufacturers, automotive suppliers and developers can create Android-powered infotainment solutions initially with Qualcomm Technologies' Automotive Development Platforms (ADP), which utilizes Qualcomm® Snapdragon™ automotive system-on-chips, followed by production systems developed and manufactured by Panasonic Automotive. The concept IVI system will be on display at the Panasonic Booth (LVCC, Central Hall, 12908) throughout the duration of CES 2017, and also at the Qualcomm automotive booth (North Hall, #5609).